On April 7th, 1976, Adel and Sylvia Akl and their family came to the United States and resided in Danville, California. They had a work to do which they were not aware of, lives to touch which they did not know, places to be where they had no inkling of…yet the Lord moved His divine hand, and behind the scenes had lovingly woven their life tapestry. They were led to fellowship at Sun Valley Bible Chapel in Lafayette, California. In 1978, the elders of the church had commended Adel and Sylvia to plant a church in the San Ramon Valley, and with the urging of the Holy Spirit, they knew they were called to do that. 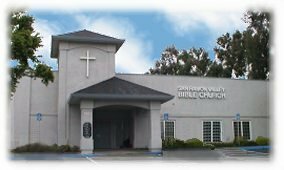 Commissioned by the church and helped by the elders, they were established in Danville, California at the Veteran's Hall as the San Ramon Valley Bible Church. The assembly began on July 2, 1978, with just a handful of families. The initial work of starting an assembly was a difficult task. The tools were few; the helpers were young in the Lord; and the facilities were very poor, yet the few workers continued to faithfully and consistently serve on, daily seeking the Lord for the salvation of souls. Slowly, lives were touched by the small but powerful ministry of the assembly. People were led to Christ. The Lord's hand was always there working, supporting, protecting, and blessing the work because the Lord's plans stand forever. The work continued regardless of all the hardships and difficulties. The Word was taught without compromise, and the lives of those amongst the fold were trained in the doctrine and in living the Christian life. Vessels were being built and marriages were being strengthened, and children were being raised in the Lord. Due to space limitations, the church then moved to the Grange Hall in Danville, California. There more souls were won to Christ, and more families joined. The work was getting bigger each day. Ministries such as the choir, Sunday School, training of teachers, and the development of more workers became larger. Everything was overseen by the Lord and by the faithful oversight of the flock. 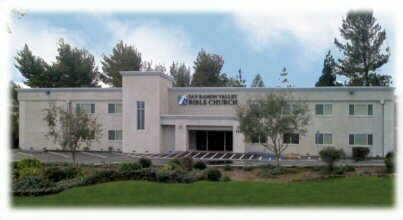 Due to limited space and aging facilities, the San Ramon Valley Bible Church moved from the Danville Grange Hall to Ryan Industrial Court in San Ramon, California. There the work continued to flourish, and the Lord's abundant blessings were evident. The faithful shepherds and elders of the assembly fought many battles to protect the pure doctrine and to protect God's flock from false doctrines. With many lives united in Christ and many families bonded together, the Lord led the San Ramon Valley Bible Church to a facility we renovated with our own loving hands on San Ramon Valley Boulevard. Annual baptisms were held; Sunday School flourished; Friday night ministries blossomed, and souls continued to be saved. After twelve fruitful years at that location, we once again found ourselves in need of a larger facility. Through many amazing miracles, we were led by the Lord to buy our own facility in a location quite familiar to us. In early 2010, across the street from the office building we once rented on Ryan Industrial Court, the San Ramon Valley Bible Church moved into a custom-built church facility. Today, all the workers and helpers whom the Lord has raised up and developed have become great assets to the work of God. The work continues with spiritual zeal and harmony as more lives are changed for Christ. We live in His service and with eternity in view, knowing that with Christ, the best is yet to come! 1901 San Ramon Valley Blvd.